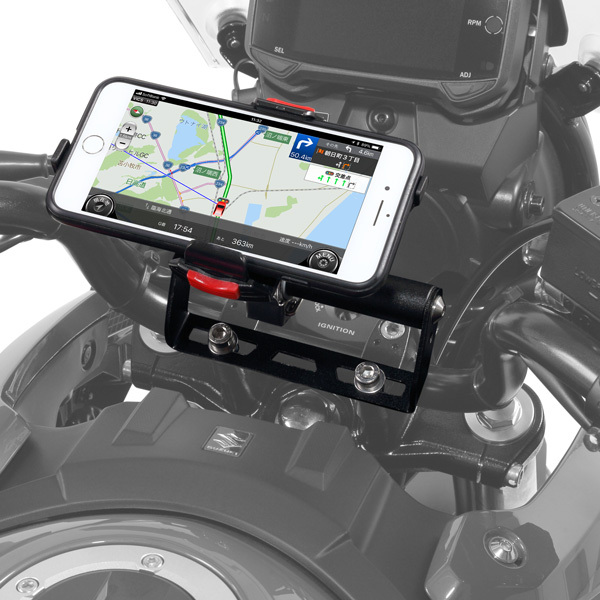 - Bar mount for clamp smart phone or navigation on your handlebar. 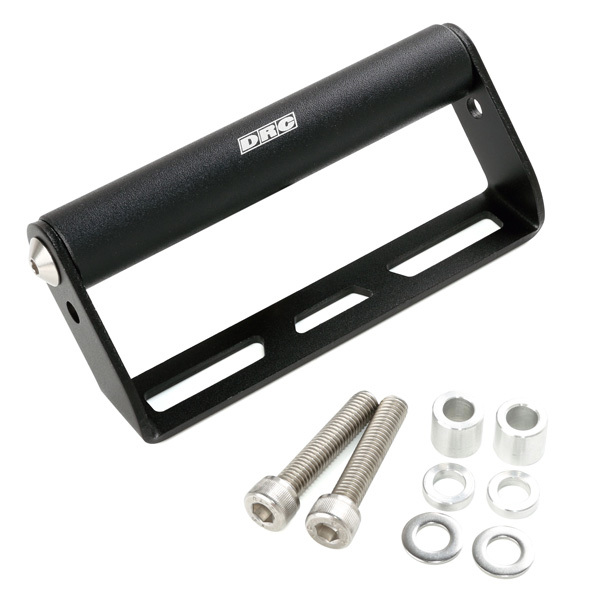 - Can be mounted on most handlebar clamp, does not contact handlebar brace. - Made of A6061 aluminum and black, red and blue anodized finish. 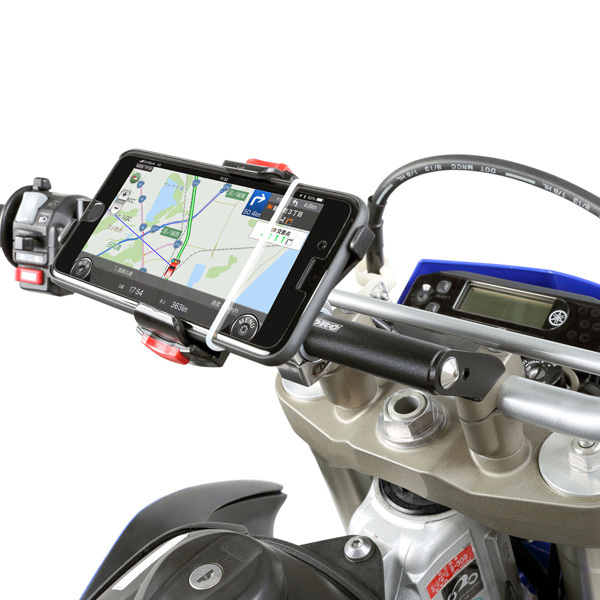 Light weight design. 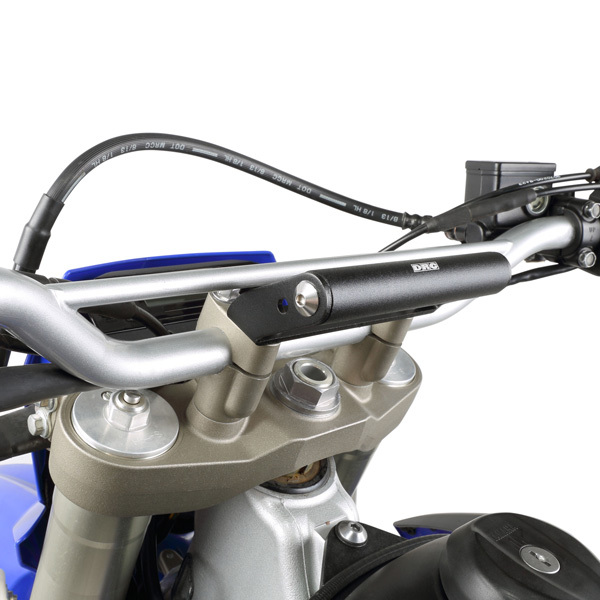 - Aluminium Mounting pipe diameter 22.2 mm.